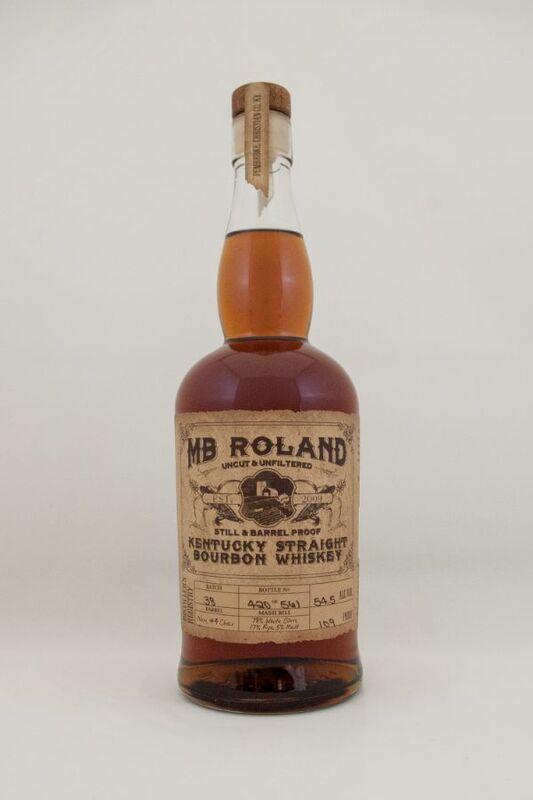 MB Roland Kentucky Straight Bourbon is truly like no other. We use local, food grade white corn, and bottle the product at distillation and barrel proof in the style of a pre-prohibition bourbon. The result is a unique, very full-flavored bourbon that typically comes in at between 105-115 proof (52.5 - 57.5% ABV). Each batch is a blend of 5-10 barrels, is hand labeled, numbered and individually proofed. Enjoy neat, over ice, or with a splash of water.